Carrie Reinhart - Biology, class of 2011. 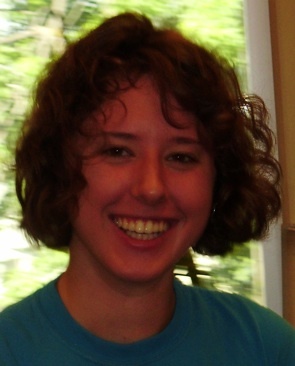 Carrie joined Team Weed as an NSF research intern in 2009, working on both pollen development and floral induction in Arabidopsis pirl knockout mutants. Here, in the photo on the right, she pipettes an RNA sample under her thumbnail while setting up a qPCR reaction. Laura Quennoz. BBMB (Biochemistry) major, class of 2011. 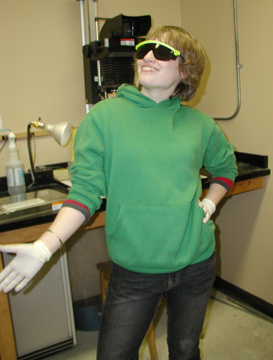 NSF summer intern in the lab in 2009. Looking for RNA editing defects in Arabidopsis ppr knockout mutants, Laura ended up memorizing the sequence of each and every chloroplast transcript. And loving it. 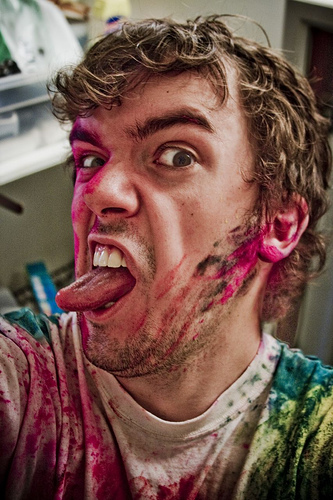 Nick Davis - Biology, class of 2008. 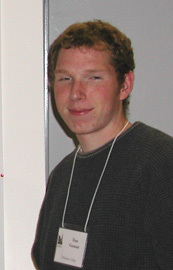 NSF summer research assistant, 2007 and staff research in 2008. Earned a black belt in qRT-PCR. Now in the PhD program, Molecular Pharmacology, University of Wisconsin. 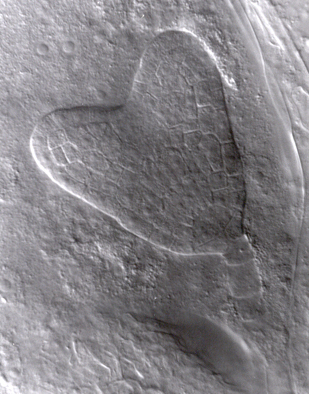 Barbara Simeles Biology, 2008. 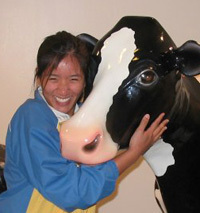 When not cuddling huge plastic cows, Barbara worked as an NSF-funded Team Weed research intern, studying pollen development in pirl KO mutants. 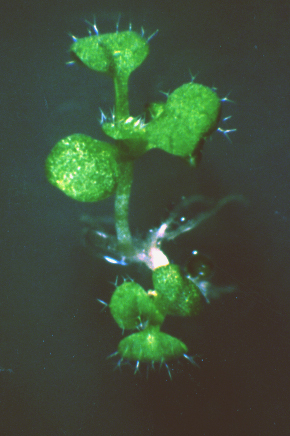 Dan Cushing- Biology, 2003. "Alaska Dan" was and the heart, soul, & swim bladder of Team Weed for 2 years as a USDA-supported researcher, working with emb-ppr mutants. Along with 2 other Dans, he coauthored our 2005 paper on ppr KO mutants. Now: M.S, Oregon State U.
Jennifer Eastberg- Biochemistry, class of 2001. 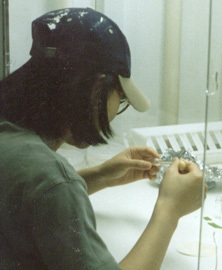 Team Weed NSF summer researcher in 2000. 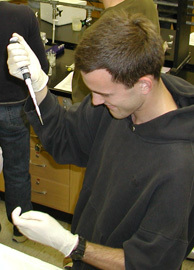 PhD, 2007, Molecular Biology, UW/ Fred Hutchison Research Center. (No photo available). 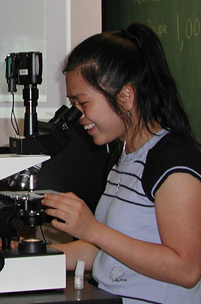 MyPhuong Le- Biology, class of 1998. 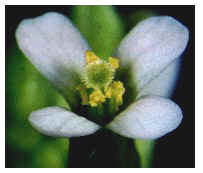 Coauthor on a Team Weed paper on the twn1 mutant (2001). Went on to work in the Human Genome Center at the University of Washington. Stacy Mackie- Biology, class of 1998. 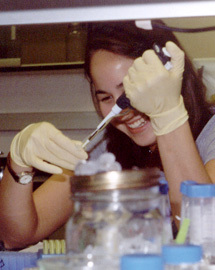 A Team Weed NSF summer intern, 1997. Went on to work as a Research Technician at the Mayo Clinic. Now a ResearchTech at Rocky Mountain Labs in MT. Marianne (Brady) Bryan- Biology, class of 2000. PhD, Molecular Immunology, 2009, University of Pittsburgh. 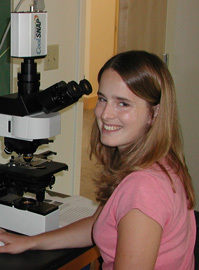 Maureen FitzMaurice - Biology, '05. 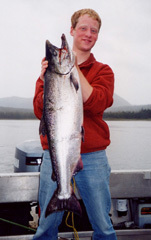 A USDA-supported summer research assistant. (She's wearing BillyBob teeth in this, our only photo). Courtney Luke - Biology, class of 2000. 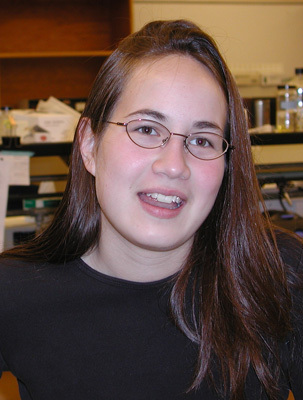 A Team Weed NSF-supported summer researcher in 1998 and '99, Courtney worked on the emb175 mutant. David Wilson- Biochemistry, honors graduate, 1999 (grad date 12/98). An NSF-supported summer researcher, Dave turned many embryos blue doing reporter gene assays. Brady Hamilton-Biochemistry, class of 1997. Honors graduate and member of the first summer Team Weed. Brady did RT-PCR on the gene that would later be known as PIRL1. 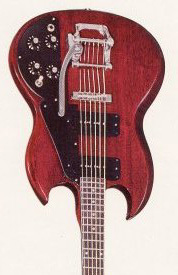 (No photo available; so we used this '72 Gibson SG).